Even after ten years, I continue to strive to keep my style fresh and creative, yet relaxed and unobtrusive. I am above all a storyteller, an observer of people, relationships, intimacy, capturing emotions, the love, the laughter and sometimes the tears. I want to capture your day with minimum interruption and provide a story which has timeless appeal. Although I adopt a documentary approach, if you want posed photographs I am happy to direct the bridal party, but I will always look for new and interesting ways to make your images stand out from the crowd. For years I always felt wedding photography had been limited to stiff poses without much regard for the underlying story, emotion, romance, and behind-the-scene events of the day itself. 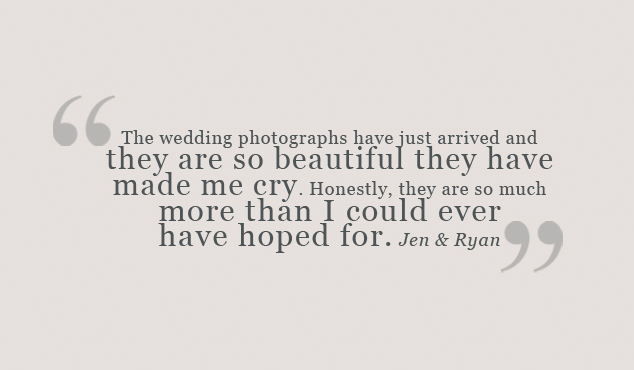 However, over the years weddings have changed and become more relaxed and intimate. 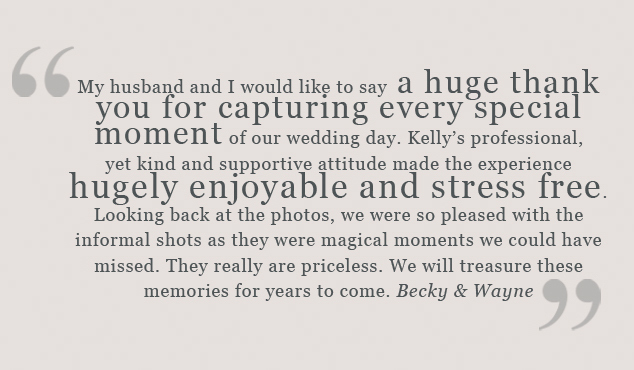 Couples now incorporate their personalities and passions into their wedding style, opting for a more contemporary approach to their big day and this is why I became a wedding photographer. 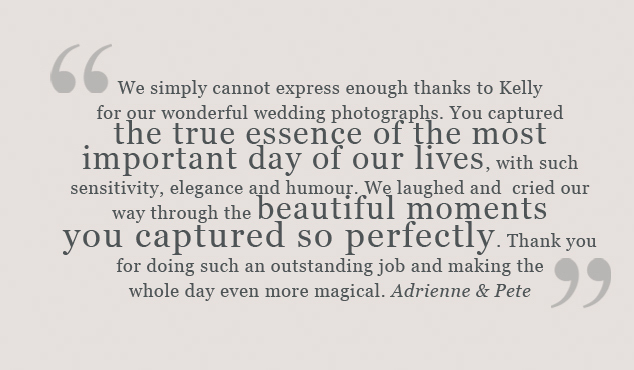 I believe it is my job to capture and express your love in photographs which are completely unique to you. Many have described my approach to be contemporary – a perfect blend of documentary, fashion, lifestyle and still life images. 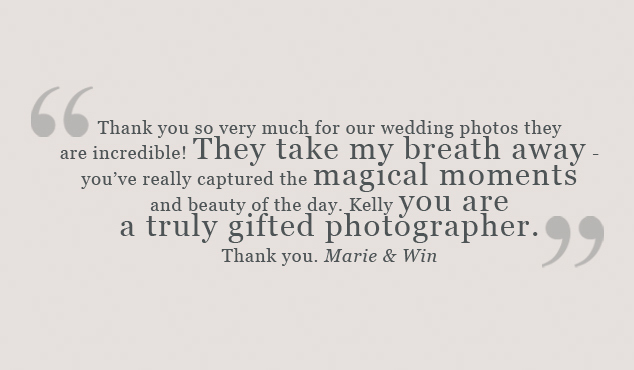 For me, it is essential that your photographs have integrity so while I am happy to direct a bridal party, I will not put you into any unnatural poses or try to create moments that are not there. You will be relieved to know that I won’t ask you to say ‘cheese’, it is my job to make you smile and create an atmosphere in which you can be yourself. 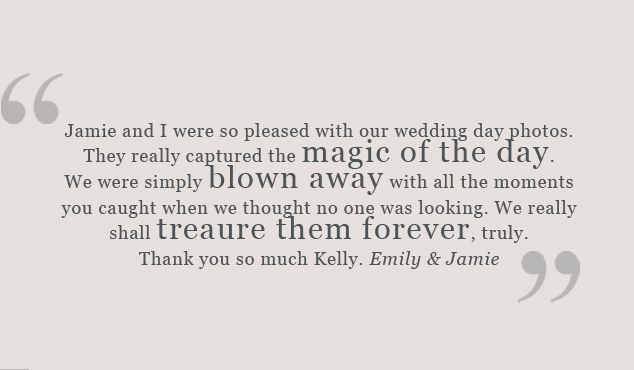 I love it when brides and grooms have their own ideas and will always work with them, be open-minded, to make it happen. Spontaneity is what I believe makes a great photograph and enjoying the moment; even if you claim to hate having your photograph taken that’s what they all say. My overall aim is to capture individuals’ personalities, passions and style, by opting for a contemporary and editorial approach to photography. 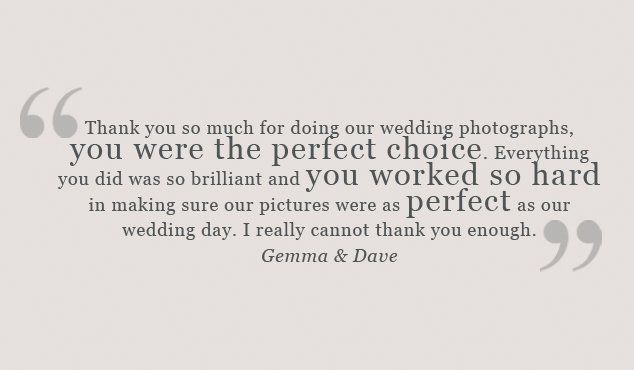 If I am lucky enough to shoot your wedding I will cover detailed still-life shots of the decor and photographs of the bride getting ready, through to candid documentary images of the day unfolding and couple portraits with an edgy fashion twist. For me, creating a story is the most important aspect of my job. I prefer to photograph the wedding as an occasion, a story unfolding from before the ceremony through to the fun of the reception, capturing the natural rather than the posed. 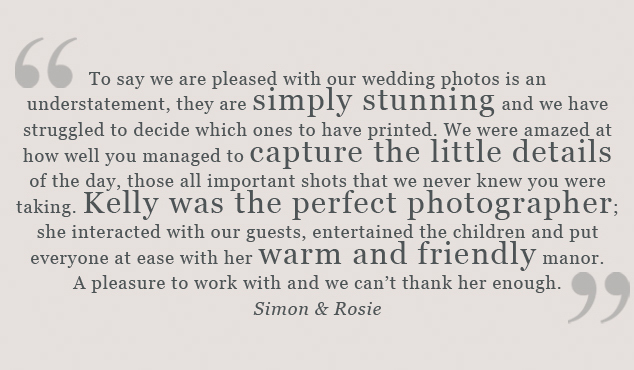 Every wedding is unique and this will be reflected in your photographs. I like to maintain an unobtrusive style and will make the best of the time available so you are not away from your guests for long periods. 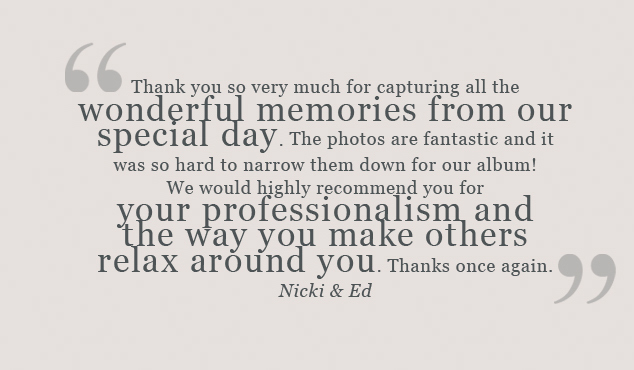 Once I have captured your day I will process your images to suit your individual style. 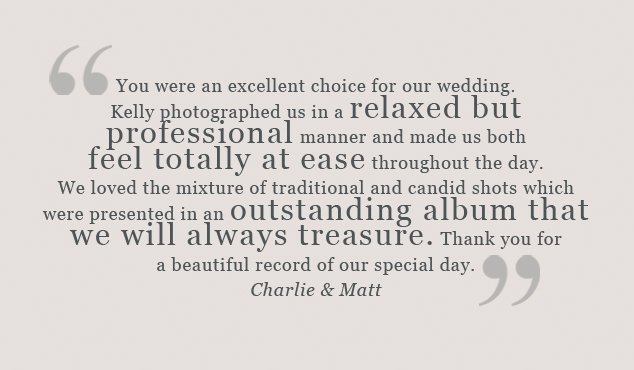 I will ensure your wedding has it own unique colour palette because no two weddings are the same. 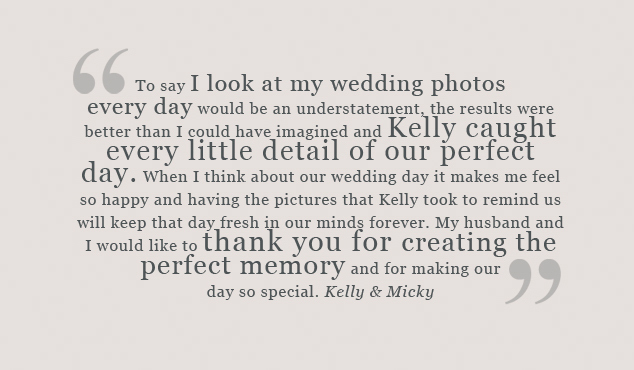 My hope is that long after your wedding, as the years pass and memories fade, you will be able to look at your wedding photographs and relive that special day again with pride and joy. If you think I would be a good fit for your wedding please get in touch. I am always happy to answer any questions you may have, even if you are not at the booking stage. To view my latest work please visit the gallery to view complete collections and a few of my favourite images from over the years.